Hoping to start a national conversation about mental health, Aussie footballers announce plans to bike more than 1,400 km from Sydney to Melbourne—500 meters for each of the 2,866 Australians who committed suicide in 2016. AFL stars commit to a gruelling 1,400 km cycle to start a conversation about 2,800 Australians who lost their lives to depression. AFL stars join forces to cycle 500 meters for each of the 2,800 Australians lost to suicide in a year. Footballers Wayne Schwass, Danny Frawley, Paul Licuria, Scott Cummings, and Justin Koschitzke will bicyle from Sydney to Melbourne in an attempt to start a dialogue around depression in Australia. The ride, which is more than 1,400 km, allows for the athletes to ride 500 meters for each of the 2,866 Australians who lost their lives to suicide in 2016. Known as “Puka Up,” the March 16 event is an attempt by the Australian Football League (AFL) stars to “break down stigmas” around mental health, the Herald Sun reported. The word “Puka” is Hindi for “genuine,” which is the type of conversation that the footballers say they are hoping to start about mental health struggles. In Australia, an estimated one million people suffer from depression annually. 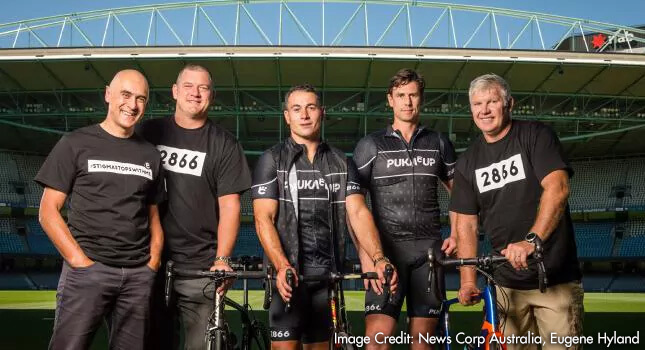 However, the Black Dog Institute, which is working in support of Puka Up, wants to emphasise through the cycling event that suicide—the most serious consequence of depression—can be stopped. “We want to focus on the prevention end—there are ways to prevent depression,” its director, Helen Christiansen, told the Herald Sun. Part of this involves identifying signs of depression. Feelings of sadness and grief are natural responses to stress and loss, but when it is long lasting and impacts social life, work, or school performance, it can be a sign of depression. For nearly one-third of people suffering from depression, the disorder is accompanied by substance abuse and addiction. The Cabin Sydney specialises in treating these issues at the same time, through a sophisticated and flexible outpatient programme and aftercare support that is aimed at preventing relapses. Neither should you. 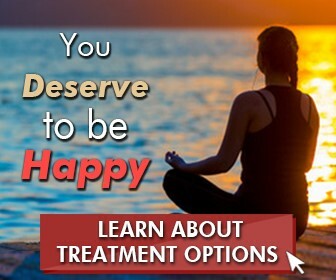 Reach out to us for a confidential consultation about how we can help you feel like yourself again.